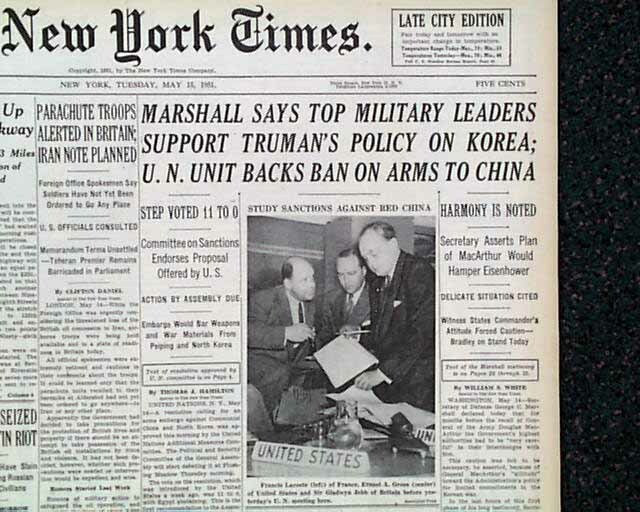 THE NEW YORK TIMES, 1951, from New York, New York . 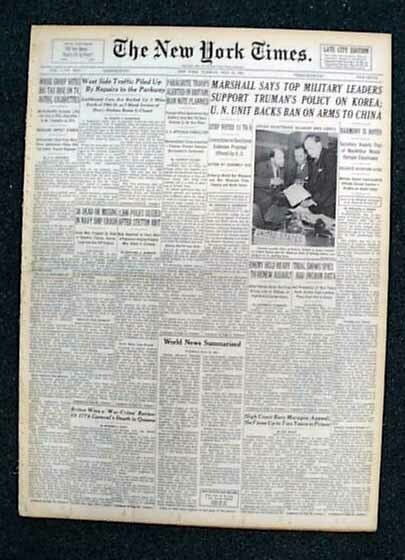 A complete and original issue from the heart of the Korean War, with front page news coverage of the war (war headlines). Each issue varies, but will be similar in look and condition to the one shown in the image, but actual dates will vary. If you need a specific date, please contact us for a price quote and availability.